Twenty-five years have passed since Special Agent Dale Cooper rolled into the remote and mysterious town of Twin Peaks (population 51,201) on assignment to investigate the peculiar murder of High School Homecoming Queen, Laura Palmer. His grand entrance is a memorable one. As Cooper races down the highway into town, he clicks on his audio recorder and dives into his first monologue. A blur of evergreen trees flash by the window. As he drives along, Cooper comments on his journey into the Pacific Northwest, calling out the delicious local cherry pie. This iconic scene sets the stage for Twin Peaks, an infamous 1990s cult classic. The two season TV series and following prequel film Fire Walk With Me concluded before I was born, but despite that, I’m totally hooked. Written and directed by David Lynch, creepiness and quirkiness bleed into every moment of the show. The fantastic and melodramatic scenes are acted by a large ensemble cast including Kyle Mclaughlan, Sheryl Lee, Sherilyn Fenn, and even David Lynch himself as Gordon Cole, the nearly-deaf FBI Bureau Chief. Luckily for myself and other fans, Twin Peaks returns Sunday, May 21st on Showtime with many of the original cast members. It’s the prerogative of any Washingtonian to have watched a few episodes or at least heard of Twin Peaks. After all, the “real” Twin Peaks is in our backyard. Just one visit to Snoqualmie Falls or North Bend is enough to make you feel like you’re in the fictional town itself. Many Twin Peaks hotspots are within a 40-minute drive from Seattle along eastbound I-90. Take this opportunity to reflect on the show and imagine what happens next in the foreboding story, set 25 years after the original show’s second season. The plot of Twin Peaks follows a bunch of eccentric characters: Agent Cooper, Sherriff Harry S. Truman, Hawk, Andy and Lucy at the Sherriff’s station; Ben and Audrey Horne at the Great Northern Hotel; Norma Jennings and Shelly Johnson at the RR Diner; Josie Packard, Pete and Catherine Martel at the lumber mill; a flock of angsty teenagers; and of course, the ever mysterious and prophetic Log Lady. The deeper you get into the story, the stranger it becomes. “Bob” and the characters in the Black and White Lodges are particularly goose bump worthy. I binge-watched Twin Peaks for the first time a few years ago in my college dorm room, where my roommates would find me snuggled up in my pajamas, glued to my laptop for hours. While brushing my teeth at the end of the night, I’d ask myself, “what the hell did I just watch”? Admittedly, I’d usually end up watching “just one more episode” before finally shutting my eyes and sleeping it all off. Twin Peaks is not a show for everyone. The plot centers around the frightening murder case of a charming yet haunted young woman. The investigation brings out the worst in all of the characters. Maybe this show clicks for me because I love Tim Burton-esque films. Or maybe I just have a strange appetite for entertainment. But I’d say strongest pull of Twin Peaks for me is its location. My family moved from California to Washington 18 years ago. Especially during winter, our friends and relatives would always ask, “Why did you move somewhere so grey and rainy?” However, whenever anyone came to visit, this question would quickly fade away. Many of them resembled Agent Cooper as they gawked at sheer number of trees everywhere. 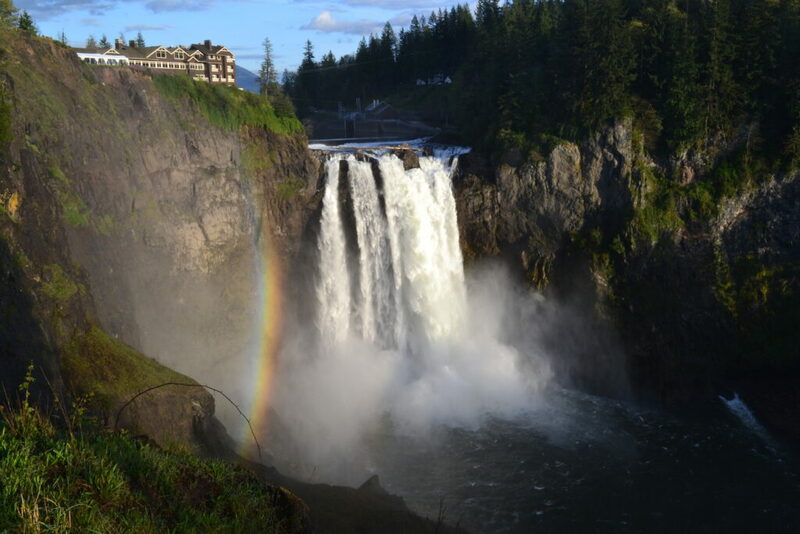 As my mom’s heavy photo albums of the late 90s would confirm, everyone who came to see us in Washington had Snoqualmie Falls on their itinerary, the site of the Great Northern Hotel (Salish Lodge & Spa) in Twin Peaks. Showing off the waterfall to everyone we hosted, it’s easily one of the most regular backdrops in our family photos. 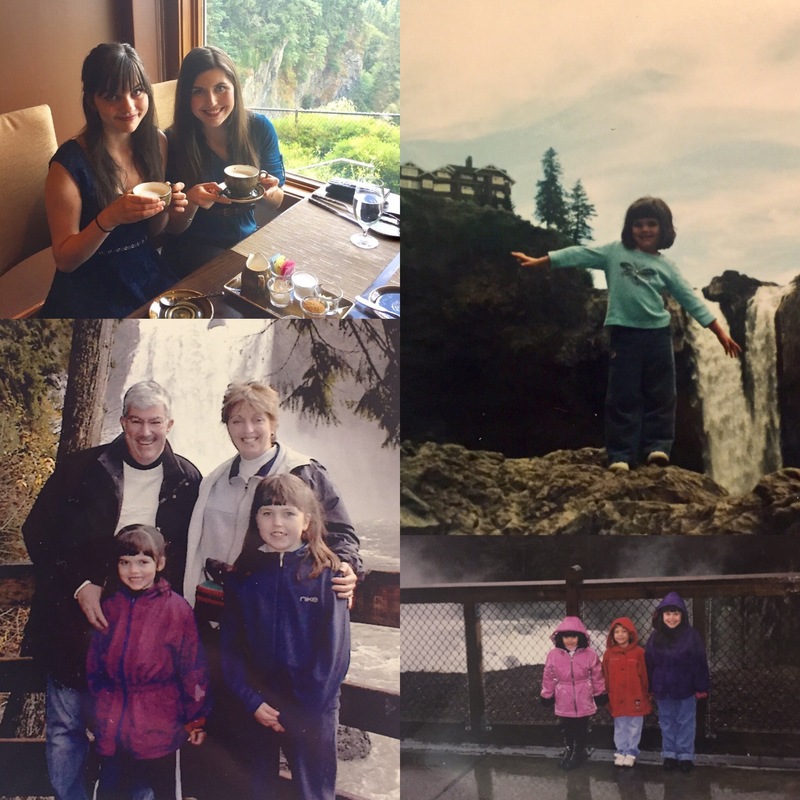 Snoqualmie Falls has always been an exciting place for me, and now thanks to Twin Peaks, it’s also the subject of my pop culture references. Just walking up to the overlook is sensational. You can always hear the thunderous waterfall before you can see it. As you approach, you’ll be sprayed by misty sheets of water as the rapids crash into the river below. Many occasions here are rainy ones, but the waterfall only becomes more intense and impressive the nastier it gets outside. Needless to say, Pacific Northwest weather plays its own character in Twin Peaks. For a look at the Great Northern from the bottom of the waterfall, take the .5-mile trail down to the riverbank, open year-round from sunrise to sunset. Puget Sound Energy has mounted signs along the trail describing the local flora and fauna, reforestation efforts and energy projects. 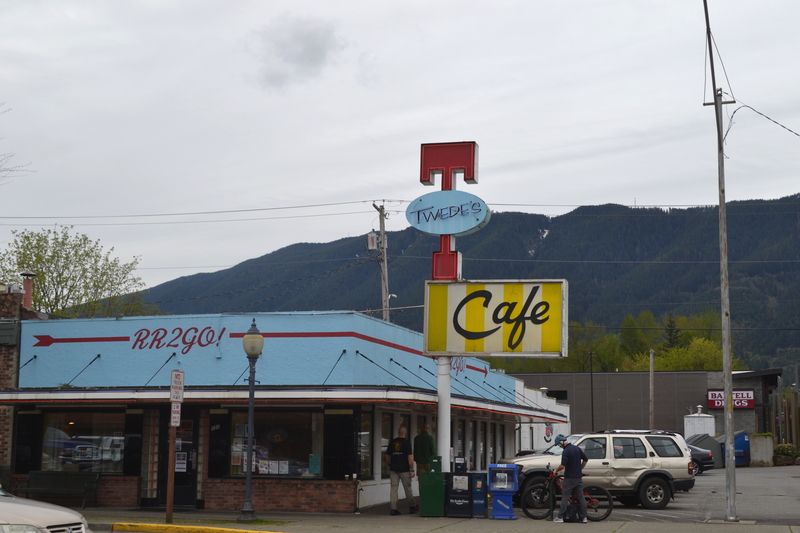 Cozy up after this excursion with a milkshake or slice of cherry pie at Twedes Café in North Bend, set as the RR Diner in Twin Peaks. The place is packed with fans each summer during the Twin Peaks Festival, which is already sold out this year. Anytime you visit, you’ll find the café filled with both lifelong residents and curious hipsters. 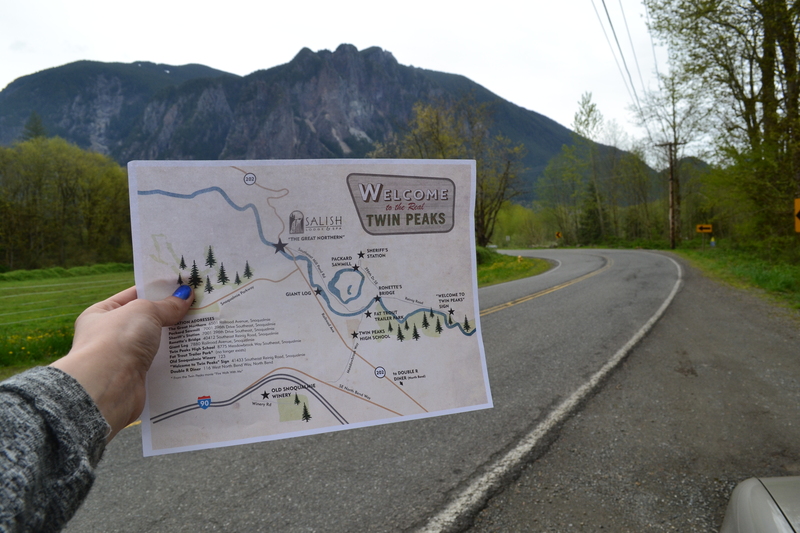 If you’re searching for more Twin Peaks obscurities, stop by the gift shop at Salish Lodge & Spa and pick up a Twin Peaks Driving Tour map. Stops include the “Welcome to Twin Peaks” sign, Ronette’s Bridge, Packard Saw Mill, the Roadhouse, the Giant Log, and more (did you hear that, Log Lady?). 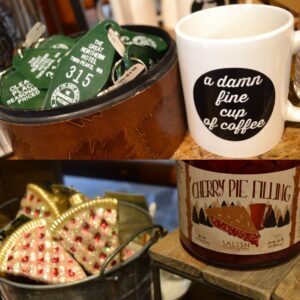 The gift store is also a great place to pick up Twin Peaks memorabilia. 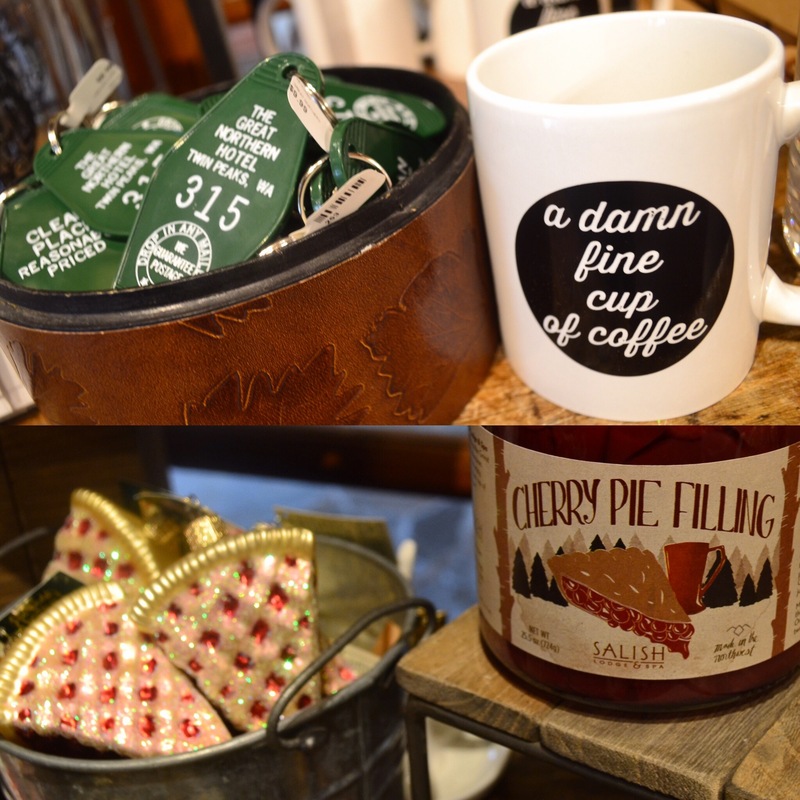 For a caffeine fix, be sure to grab a pound of Twin Peaks Blend, which boasts itself as dark, rich and mysterious. The bag also contains the warning, “the beans may not always be what they appear.” I’m not sure about the beans, but I’ll vouch that Mount Si Coffee Roasters makes some damn fine coffee. You can return to Twin Peaks as stylishly as Josie Packard after her Seattle “shopping therapy” trips with the Great Northern Escape Package. 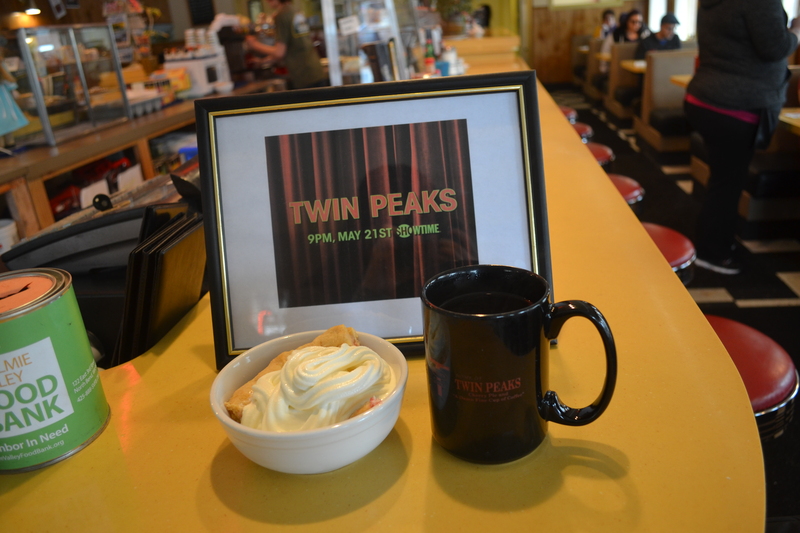 The offer includes a one-night stay in a guestroom with a fireplace, balcony or window seat; two Dale Cooper cocktails; a copy of the Twin Peaks Driving Tour map; complimentary cherry pie with Pacific Northwest cherries, fresh vanilla ice cream and coffee; and $15 Amazon credit to stream season one from your cozy hotel room. With just a couple of weeks left until Twin Peaks is back, now’s the time to relive the show. Even if you’re not a fan, Snoqualmie and North Bend are worth their own visit. Before you leave town, watch the misty clouds glide over the mountainous landscape. As dusk settles, take a moment to just watch the sunset and be one with nature. Listen closely for its secrets – the log may have something to tell you. 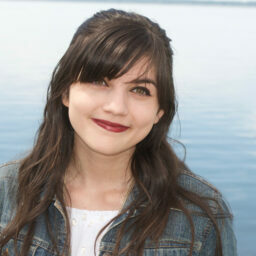 Yvonne Worden is a former Public Relations Intern at Visit Seattle. Born in California and raised in Washington, she proudly calls the West Coast home. Her favorite pass times are ecotourism, eating spicy food and falling asleep to the sound of rain. 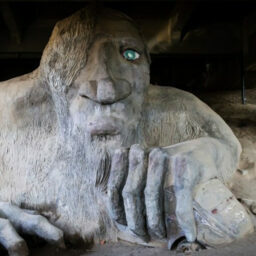 Wonderful, historic and enchanting sell in this article Yvonne. I am so Proud of you.